Attention fans of Diana Gabaldon’s best-selling book series! 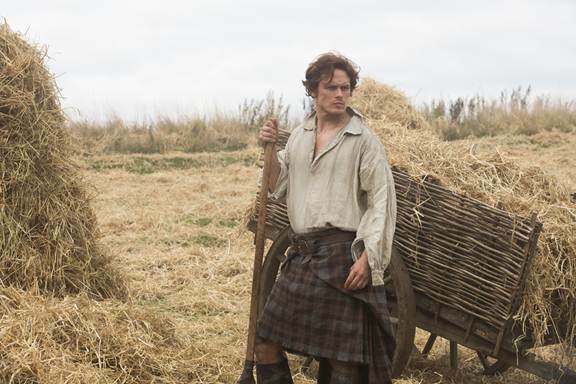 Here’s your first look at actor Sam Heughan playing the charming Scottish warrior Jaime Fraser in Starz’s adaptation of popular novels. For those of you not versed in the Outlander series, Jaime woos the married Claire Randell (Caitriona Balfe), who has suddenly jumped back in time to 1743. She is originally from 1943 where she’s a combat nurse. The the first of Outlander‘s 16 episodes will air starting in 2014.